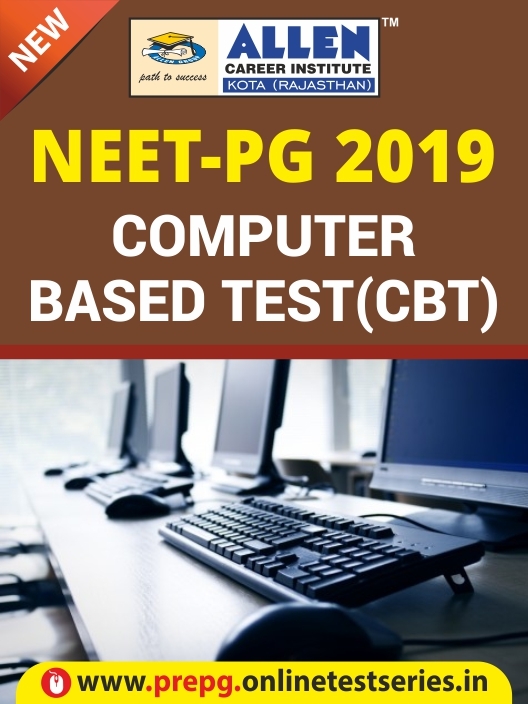 ALLEN's NEET PG CBT is a Computer Based Test (CBT) that will be done on a computer at an approved testing center to give NEET PG aspirants a real competitive analysis and an actual NEET PG exam experience. It will be conducted in more than 70 cities across the country. Our CBT mock tests will help students to improve their accuracy and overall speed of answering questions in a simulating test environment. Also, students can assess their preparation comparatively with other students across the nation attempting the same question paper at the same day. Thus, you will get to know about the subject area you need to improve, overcome fear and perform with confidence in actual NEET PG exam. Simulation of Actual Exam: Students will get similar interface for grand mock NEET PG CBT exam to familiarize them with the computer based testing tools and the type of questions they are likely to face in actual entrance examinations. In-depth Self Assessment: Student will geta multidimensional performance analysissubject-wise/topic-wise/question-wise,which has been designed to bring forth the learning gaps and guiding student at a time. Ranking & Analysis on national level: Get All India Rank on NEET PG mock exam and comparative analysis with topper that helps students to know their preparation and identify where they are lagging behind. Eliminate Exam Fear Factor: NEET PG aspirants can easily avoid their fear factor by giving exam in similar examination settings before appearing to the NEET PG 2019.